This beautiful tennis bracelet displays nearly 6CT of round diamonds mounted in a classic 4-prong se.. 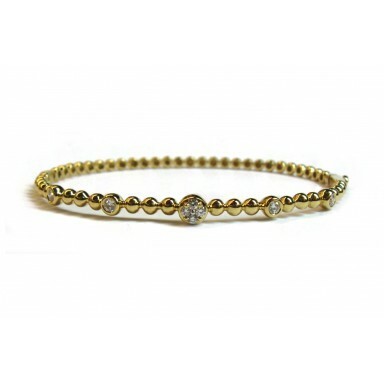 This beautiful yellow gold bracelet improves any outfit. 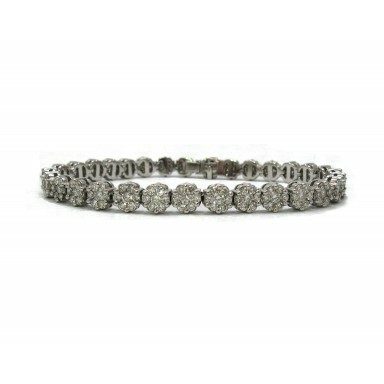 These stunning baguette diamonds will defin.. This beaded bangle bracelet is fun, stackable, and functional for everyday wear. The gold .. 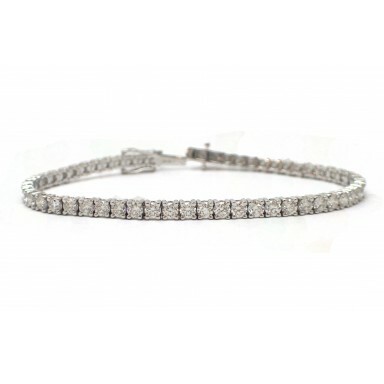 This pavé diamond bangle bracelet with a beaded shank is fun, stackable, and functional fo.. 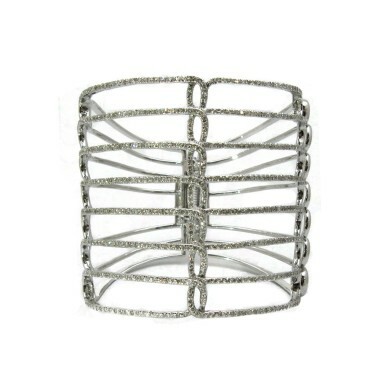 This contemporary cuff bracelet is a wide, open design encrusted with almost 5CT of diamonds. Make a.. This striking bangle bracelet reminiscent of the ocean is a reminder of the calm and pleasantne..
Clusters of round diamonds, weighing over 5CT, wrap all the way around the wrist. The clus.. 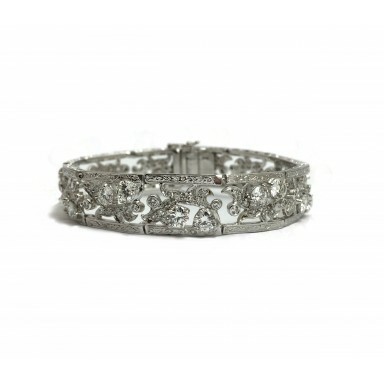 This estate bracelet is both elegant and unique. Utilizing prong and bezel set round stones in a lea.. 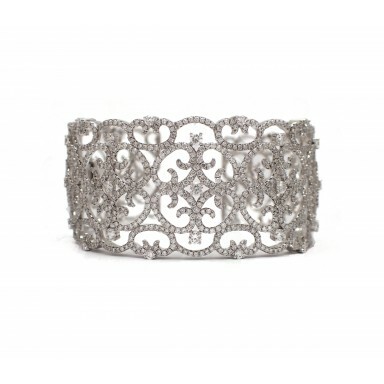 This estate bracelet is a one-of-a-kind beauty. 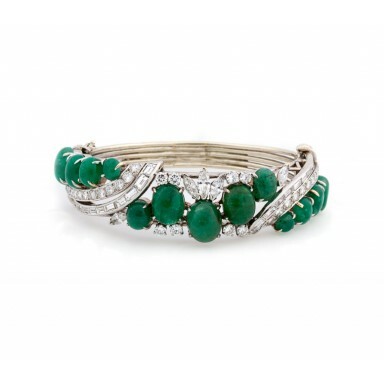 Featuring cabochon emeralds surrounded by ..
Ornate diamond cuff with an intricate open-work pattern that tastefully displays each diamond. This .. 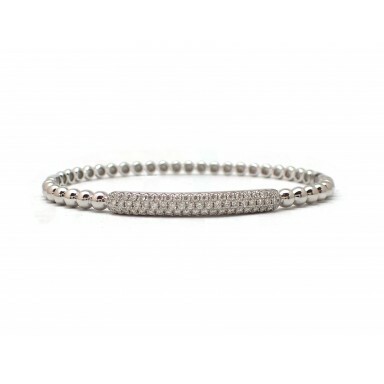 This flexible diamond bracelet features a lightweight, open design suitable for everyday wear. With .. 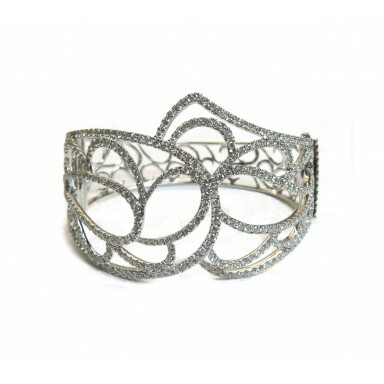 This free form filigree bracelet uses an asymmetrical pattern to make this piece stand out as a dyna.. This beautiful bracelet displays baguettes surrounded by diamond halos. Each section is then punctua.. 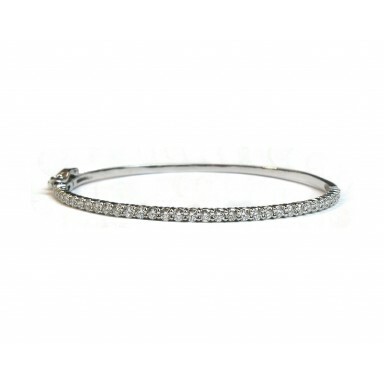 This bangle bracelet with diamonds half-way around is sleek and functional. Its shared pro.. 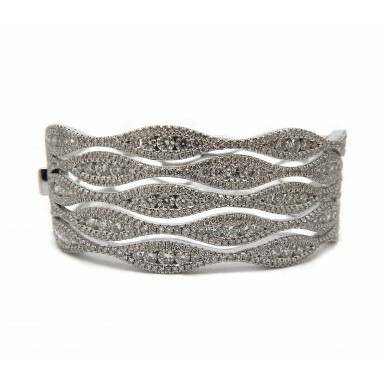 This bangle bracelet features pavé diamonds set halfway around the wrist. The hinged design allows t..